Loomis Chaffee Varsity Soccer Coach for 33 years: 10 Founders League titles, 8 Western New England Prep School Championships, 4 New England Class A “Stewart Cup” titles, Since 1981 have qualified for the New England Tournament 25 out of 29 years, including the last 12; President Western N. E. Prep School Soccer Association, 1979-1986; N.E. Prep School Tournament Director: 1980-present; Helped to found the N.E. 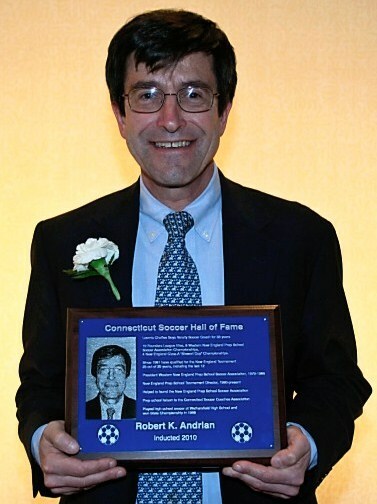 Prep School Soccer Association; Prep school liaison to the Connecticut Soccer Coaches Association; Played at Wethersfield High School and won State Championship in 1968. 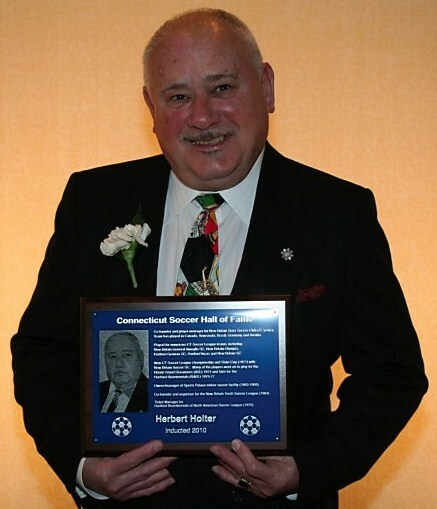 Joel Barlow High School Boys Soccer Coach (1975-2003)-Overall 29 year record of 411 wins, 89 losses and 39 ties; record includes 6 CIAC state championships (’83,’90,’91,’92, ’98,’ 01), 13 league championships, and 7 Western Conn. Officials Sportsmanship Awards; NHSACA National High School Soccer Coach of the Year (1995); Connecticut High School Coaches Association Hall of Fame (2001). 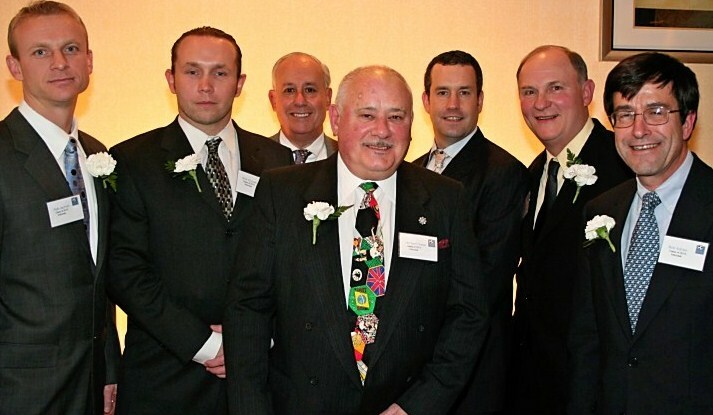 Adelphi University Athletic Hall of Fame (2001). Maloney High School (Meriden, CT) High School All-American and led state players with 36 goals scored (1992); Captained Univ. 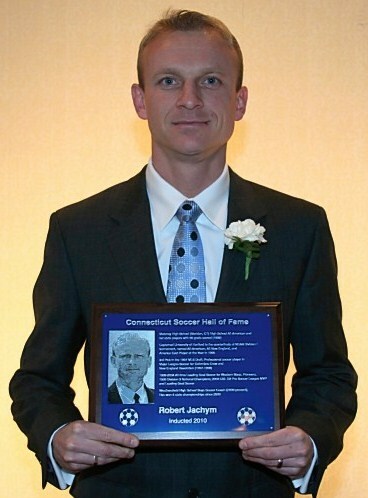 of Hartford to the quarterfinals of NCAA tournament, named All-American, All-New England, and America East Player of the Year in 1996; 3rd Pick in the 1997 MLS Draft; Played in MLS for Columbus Crew and N. E. Revolution (1997-1998); 1999-2004 All-time Leading Goal Scorer for Western Mass. 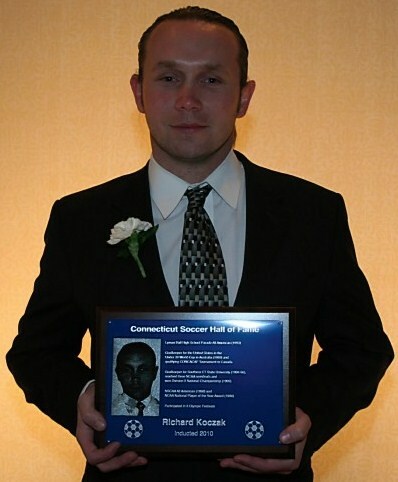 Pioneers, 1999 Division 3 National Champions; 2003 USL D2 Pro Soccer League MVP & leading goal scorer; Wethersfield High School Boys Soccer Coach (2000-present); Has won 4 state championships since 2000. 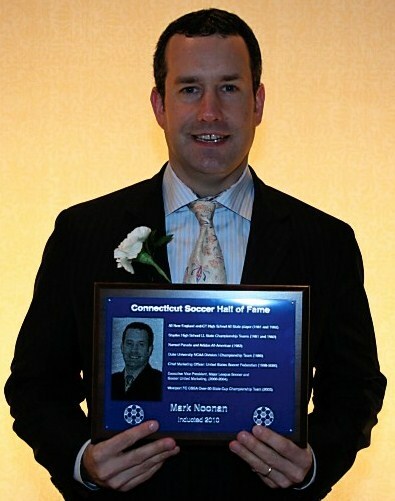 Goalkeeper for the United States in the Under 20 World Cup in Australia (1993) and qualifying CONCACAF Tournament in Canada; Goalkeeper for Southern Connecticutt State University (1994-96), reached three NCAA semifinals and won Division II National Championship (1995); NSCAA All American (1996) & NCAA National Player of the Year Award (1996); participated in 3 Olympic Festivals; Lyman Hall High School Parade All American (1993). 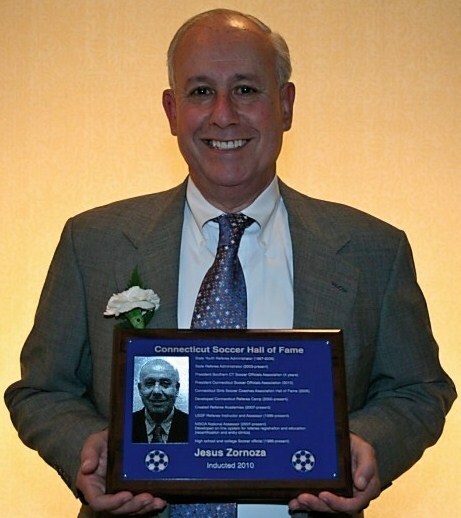 Chief Marketing Officer: United States Soccer Federation (1998-2000); Executive Vice President, Major League Soccer and Soccer United Marketing, (2000-2004); Duke University NCAA Division I Championship Team (1986); Staples High School LL State Championship Teams (1981 & 1982); Named Parade and adidas All-American (1982); All New England and CT High School All State player (1981 & 1982); Westport FC CSSA Over-30 State Cup Championship Team (2003). 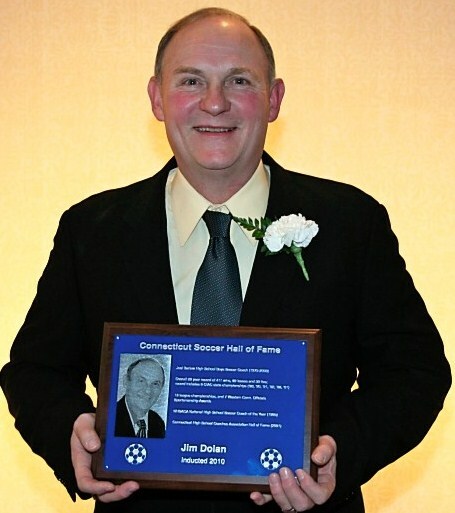 State Youth Referee Administrator (1997- 2006); State Referee Administrator (2003-present); President Southern CT Soccer Officials Association (4 years); President Connecticut Soccer Officials Association (2010); Connecticut Girls Soccer Coaches Association Hall of Fame (2005); Developed Connecticut Referee Camp (2000-present); Created Referee Academies (2007-present); USSF Referee Instructor and Assessor (1996-present), NISOA National Assessor (2007-present); Developed on-line system for referee registration and education (recertification and entry clinics); High school and college Soccer official (1986-present).